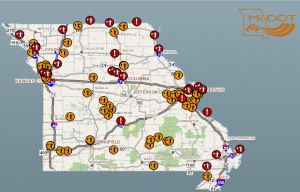 The MoDOT Traveler Information map is a real time interactive tool for Missouri motorists to arrive safely and on time. CARROLL COUNTY, Mo. – A diverse list of projects will keep MoDOT road crews busy as we move into the hot days of August. Below is the complete schedule for work in the Northwest District of MoDOT. Links to all district schedules are posted below that. Business Loop 29 (Belt Highway) – From U.S. Route 59 to U.S. Route 169 (Rochester Road, Buchanan County) for a resurfacing project, July 31 – Aug. 4. Work will be done between the hours of 8 p.m. to 8 a.m. nightly. Route J – At the Tarkio Creek Bridge for maintenance, July 31 – Aug. 2. A temporary traffic signal has been installed to direct traffic through the work zone. Route 371 – From Route CC to Route 752 for pavement repair, July 31 – Aug. 2. One lane will remain closed overnight. A temporary traffic signal has been installed to direct traffic through the work zone. 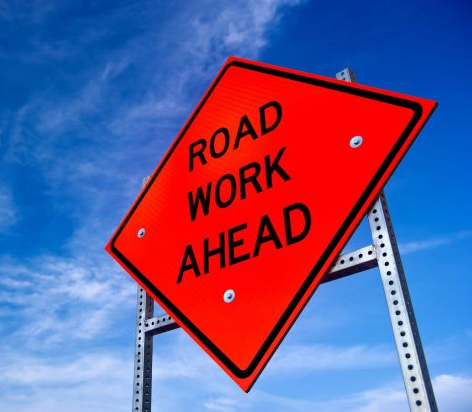 U.S. Route 169 – CLOSED from Leonard Road to Commons Road for pavement repair, July 31 – Aug. 2, 8 p.m. to 6 a.m. Includes I-29 southbound and northbound off ramp closure at Exit 44.
Business Loop 29 (Belt Highway) – From U.S. Route 59 (Andrew County) to U.S. Route 169 (Rochester Road) for a resurfacing project, July 31 – Aug. 4. 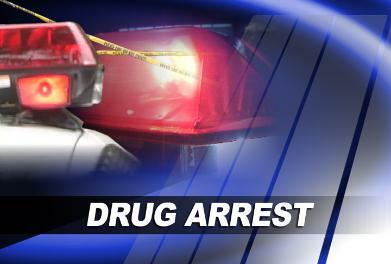 Work will be done between the hours of 8 p.m. to 8 a.m. nightly. Route A – CLOSED from Route T to Route B for sealing, Aug. 4, 7 a.m. to 3 p.m.
I-29 – At the Davis Creek Bridge for a bridge replacement project. July 31 – Aug. 4. I-29 will be narrowed to one lane in each direction, near Exit 84. Route PP – CLOSED from Laden Road to Kaddon Road for culvert replacement, Aug. 1, 7 a.m. to 3 p.m.
Route 246 – CLOSED at the Platte River Bridge for a bridge replacement project. The bridge will be closed through September. Route B – CLOSED from Echo Lane to 188th Road for culvert replacement, Aug. 2, 7 a.m. to 3 p.m.
All district schedules are below, just click the corresponding link. In addition to the work listed above there may be bridge deck washing, striping, brush cutting, guardrail repairs and other road work conducted by MoDOT crews throughout the region. Many of these will be moving operations and could include lane closures with delays. Be ready to slow down or get over. Motorists should also be sure to have plenty of bottled water in case of mechanical problems, leaving them temporarily stranded in the extreme heat. For a complete detailed look at the Missouri Department of Transportation schedule, including work by county lists, visit the MoDOT website. You can also plan your trips with the Traveler Information Map.